This third generation is a major update to one of our favorite convertible laptops. 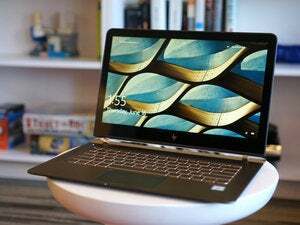 HP's Spectre x360 steps out with a major upgrade in its third generation. The latest version of the company’s flagship convertible laptop gets thinner, lighter, and faster, and adds a wealth of check-off features. 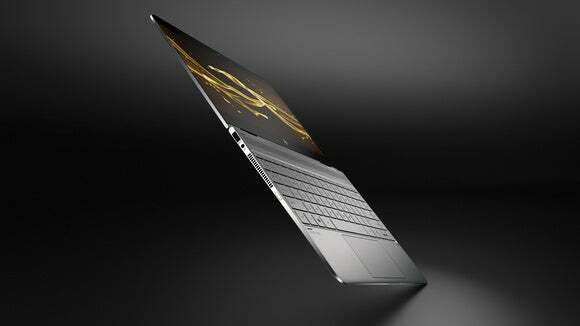 The new Spectre x360 is expected to go on sale October 12 starting at $1,049. 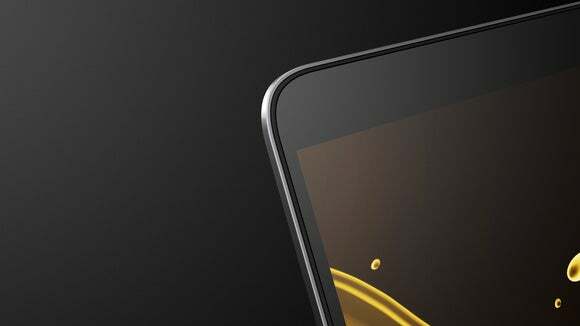 These improvements shave down the width from 12.79 inches to 12.03 inches, and the thickness from 16mm to 13.7mm. Weight drops to 2.85 pounds from 3.17 pounds. 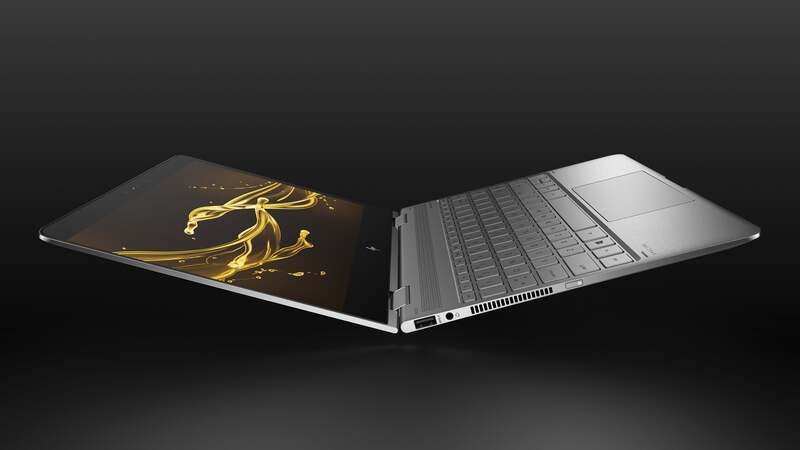 The updated Spectre x360 features a “micro-bezel” that is far thinner than its predecessor. HP has announced only one model so far, and it uses Intel’s Core i7-7500U. That’s pretty much the top of the line for Intel’s brand-new 7th-gen chips. From what we’ve seen in our review of the new chip, it's a worthy upgrade unless your current PC is pretty new. Storage options include up to a 512GB M.2 NVME SSD over PCIe. We're especially pleased to see the adoption of Intel's high-speed Thunderbolt 3 external I/O in the Spectre x360. With Thunderbolt 3, HP will also ditch the round-barrel charger and charge the Spectre x360 through one of two USB-C ports. 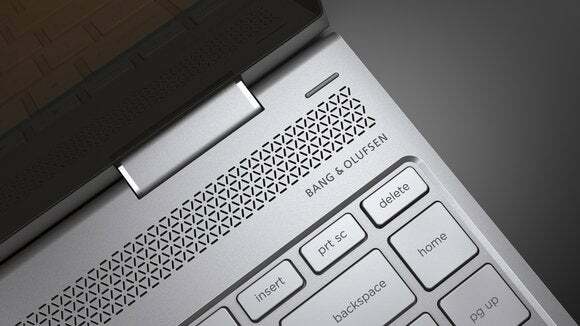 The updated Spectre x360 will feature four speakers that were tuned by Bang & Olufsen. Sure, the bezel used in the Spectre x360 isn’t quite as thin as the one used in its arch-rival, Dell’s XPS 13, but that means HP can fit the webcam along the top instead of in the compromised lower-left corner location Dell uses. The space also accommodates an infrared camera that supports Windows Hello login. The new Spectre x360 will last longer on battery, according to HP: up to 14 hours and 15 minutes. That's thanks to the 57.8 watt-hour lithium polymer battery, compared to the last gen Spectre x360's 56 watt-hour power pack, rated to last for 12 hours. The Spectre x360's battery is rated to last more than 14 hours on a full charge.